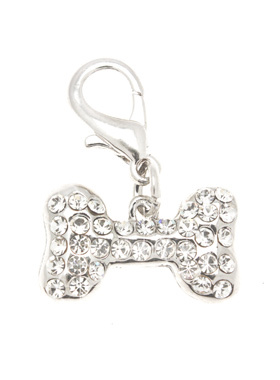 Stunning Diamante Bone Charm (embellished with 34 Czech Stones) attaches to any collar's D-ring with a lobster clip. Diamante Bone Charm measures approx. 1'' / 2.5cm wide.